QR codes often get slated for being ugly and unpopular with consumers, but they still frequently crop up on ads and billboards so marketers must still see some potential in these little pixelated squares. Often the problem with QR codes is that they are badly implemented, while it’s all too easy to find examples of codes that are impossible to scan. However, when marketers take care over the user experience, the technology can be put to good use, with Toyota being a notable example. Having previously highlighted six examples of QR code campaigns that actually worked I thought it would be worth trawling the internet to see if any new case studies had cropped up. Verizon courts Microsoft, but will it snub Android? While it may take a quarter or two to figure out just how well Nokia and AT&T’s launch of the Lumia 900 did or didn’t go, the device which both companies have bet big on has brought the kind of attention to Windows Phone that Microsoft was certainly hoping for. That apparently has AT&T’s biggest rival, Verizon, taking note. After a long wait filled with much rumor and speculation (driving tons of traffic to tech blogs), Apple unveiled the latest version of the iPad at a press event in San Francisco. Today Verizon and Coinstar’s Redbox service have announced their joint venture combining streaming content with physical media rentals. This new venture will launch the second half of 2012. Though you don’t have to be on Verizon to use this product, this combined service will be marketed to Verizon’s 109 million wireless and 9 million broadband customers as well as Redbox’s 30 million rental customers. That’s what makes this partnership so powerful. Rumors are swirling that tomorrow Verizon will announce the availability of the iPhone to its customers. 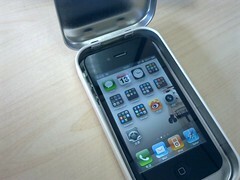 Currently, AT&T is the only mobile carrier in the US that offers the iPhone. AT&T’s iPhone exclusive has been a financial blessing for AT&T, but for some consumers, it has been less-than-desirable, as AT&T has battled high-profile data outages that have left iPhone customers disconnected. If there’s one thing major mobile carriers don’t like to do, it’s work together. But that appears to be what they’re doing in the mobile payment space. 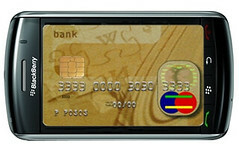 Considering how tight the market is, that’s a move credit card companies might not be too happy about. Because while credit card companies may need carriers to get into mobile payments, they may also soon learn those same carriers don’t need them. 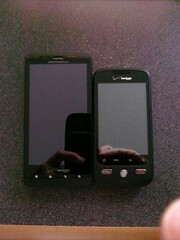 Will the Droid X be Verizon’s iPhone? The iPhone, despite the recent unwanted attention, is still arguably the most desirable smartphone in the world. But in the United States, the mobile carrier the iPhone is exclusive to, AT&T, is far from the most popular carrier. It has been hampered by complaints about network quality, and while many argue that AT&T simply needs to invest more in its network, others argue that AT&T is the victim of the iPhone.